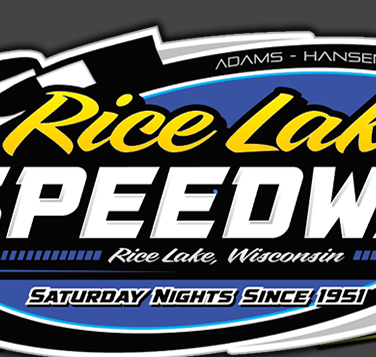 RICE LAKE, WI (August 22) - The Rice Lake Speedway was in high alert mode on Saturday. With storms bearing down on Barron County and a race program to complete, track officials hustled along the show as much as possible. All the heat races were completed and three feature races were also run under increasingly threatening conditions before lightning and imminent rain resulting in the rest of the program being shut down just before 8:30 p.m. Jason Havel, Shane Halopka and Cody Kummer visited victory lane before the Super Stock and Modified features were postponed until next Saturday. Nick Traynor, Kummer and Halopka earned track point championships with their division points completed while Jason Forehand and Kevin Adams will have to take a green flag to ensure their point titles next Saturday. The August 29th program will see the two make up features completed followed by a complete program where the five divisions will determine their Season Champions. 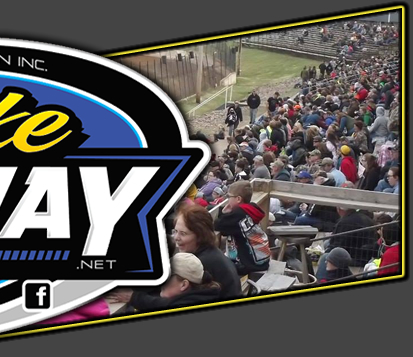 Heat races will be lined up by points earned during the racing season and the results of the heats will determine the starting order for the five main events. Previously postponed bike races for both kids and adults will be held next Saturday also. The Pure Stock point race was the closest of the five classes with Traynor leading C.J. Wagner by only two points going into the final track point night of the 2015 racing season. Traynor gained one more point in the heat race before the final feature point race would be run. Chad Bowers and Mike Grover shared the front row for the Pure Stock feature but Wagner made a strong move on the low side to drive into the early lead. He was quickly joined by both Traynor and Jason Havel in a three car battle for the lead. Wagner continued to lead but both Havel and Traynor were putting the pressure on the leader. Havel dove to the low side and Traynor up top as the leaders raced three wide to the halfway signal. Havel was able to slip into the lead with Traynor also getting by Wagner, who tried to fight back against the two challengers. Traynor moved to Havel's rear bumper and looked to drop inside Jason for the lead. Traynor continued to pressure Havel and he looked both high and low for an opening with Wagner close behind and Shawn Amundson racing to catch the top three. Havel stayed in the groove and while Traynor tried everything, he had to settle riding Havel's rear bumper to the checkered as Jason earned his sixth Rice Lake win of the year, a division high. Traynor settled for second but that was enough to earn him the point title with Wagner, Amundson and Bowers completing the top five. Halopka and Grant Southworth engaged in a spirited battle for the lead in the Midwest Modified feature race before Halopka prevailed to earn his fifth Rice Lake feature win of the year and ensue the track point title. Jamie Bisonette continued his late season charge and he took the early lead in the main event and led the first half of the race. Halopka and Southworth charged up from the fourth and third row respectively to challenge for the lead as the race reached the halfway point. Behind them, Travis Anderson, Kent Baxter and Austin Ellis were also locked in a three car battle for position. As the race reached the halfway point, Halopka dove to the inside of Bisonette while Southworth went to the high side and they crossed the line three wide for the lead. Halopka was able to drive deep into turn one and take over the top spot with Southworth charging into second. Grant continued to pick up the pace as he got a great run down the back chute, dove to the inside of the track and took over the lead. However, Halopka wasn't done yet as he mirrored Southworth's move on the front chute and dove low into turn one and retook the lead. Southworth planted his car on Halopka's rear bumper and tried to once again take over the lead. However, Halopka picked up the pace and following a lap eleven yellow that slowed the field, Halopka was able to maintain the lead the rest of the event. Southworth gave it his best but he had to settle for second, running one car length behind the winner with Bisonette another car length back in third. Anderson prevailed in the battle of the second pack with Ellis nipping Baxter on the last lap for fifth. Kummer wrapped up the Street Stock point chase on a high note as he guaranteed the point title with his second feature race win of the year to end the night's racing. A first lap tangle in turn four eliminated the front row for the restart and the shuffled lineup saw Hunter VanGilder in the lead. However, Kummer made a great move on the low side and was able to dive under Hunter to take over the lead. Once in front, Kummer put on one of his strongest runs of the year as he started to stretch his advantage over VanGilder. A big battle for position saw Kori Richter, Sam Fankhauser, Adam Soltis and Jay Kesan jockeying for position. Fankhauser seemed to have the most success as he used the high side of the track to move up after starting in the fifth row of the main. The rest of the race ran nonstop and Kummer motored home for the win with Fankhauser continuing to charge and challenging VanGilder for second. Richter and Soltis completed the top five. Just as the Street Stock feature was completed, the lightning grew to the dangerous level and everyone headed for cover as the show was halted at this point. 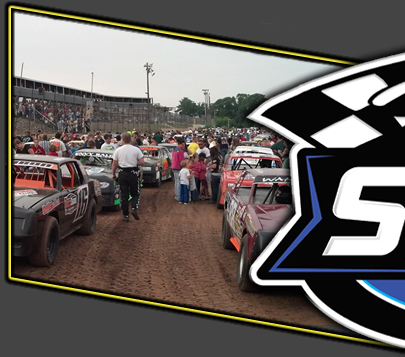 Next Saturday's program will be highlighted by seven feature races and track titles will be settled in all five divisions. Warm ups will start at 6:30 p.m with racing to follow. Track officials also announced that the Labor Day weekend racing will consist of one night of racing on Saturday, September 5th. All five divisions will be in action and an increased purse will be on the line for all racers. More information is expected to be released this week and drivers can call Dave Adams at 715-205-2861 for more details.